A supervisor in a company has a responsibility of hiring, training and managing of staff, organization of their workload, allocating them the duties and evaluating their performances. 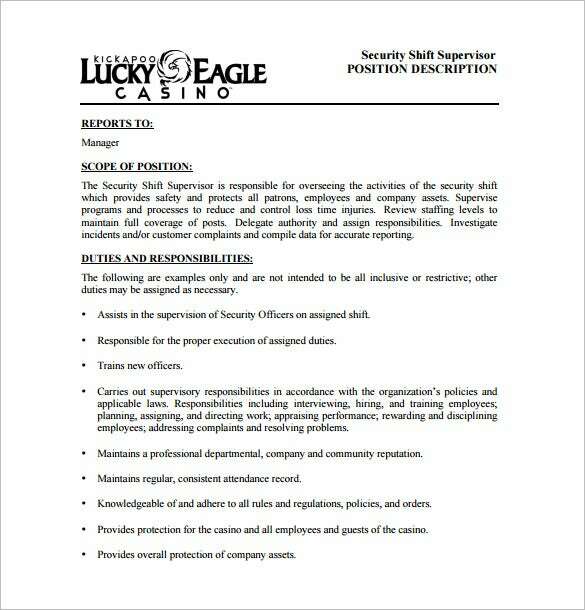 You may also see Job Description Templates. The supervisor alerts the staff on any changes, conducts appraisals to reward or take corrective actions such as dismissal, handles complains that emerge and where necessary completes any vital tasks that are undone. 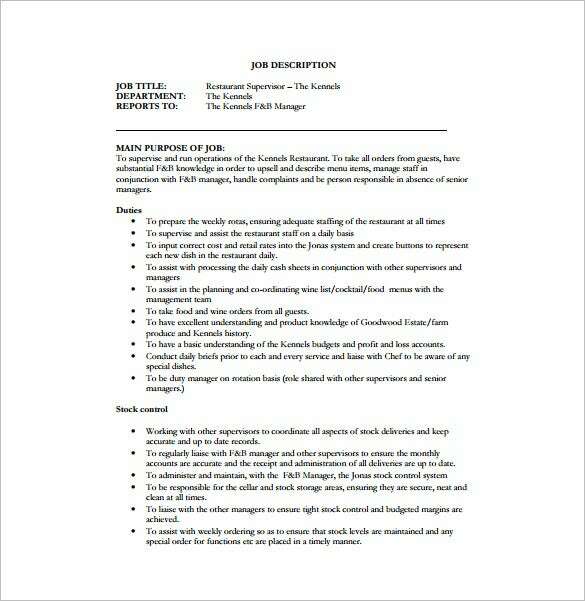 You may Like Accountant Job Description Templates. 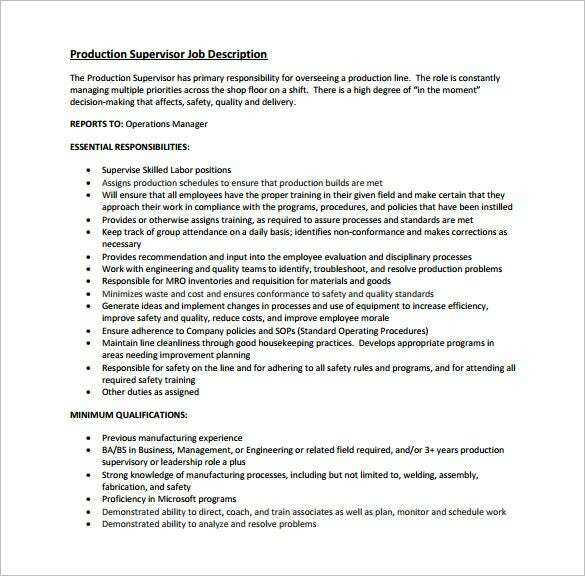 macheaters.com | Production Supervisor Job Description PDF designed for posting on online job platforms to hire the best candidate fit for the Production Supervisor post. The main duty of a Production Supervisor is to look after a production line. Since the role is to handle multiple tasks, duties including managing the junior staffs, the template describes exactly the qualities, responsibilities. 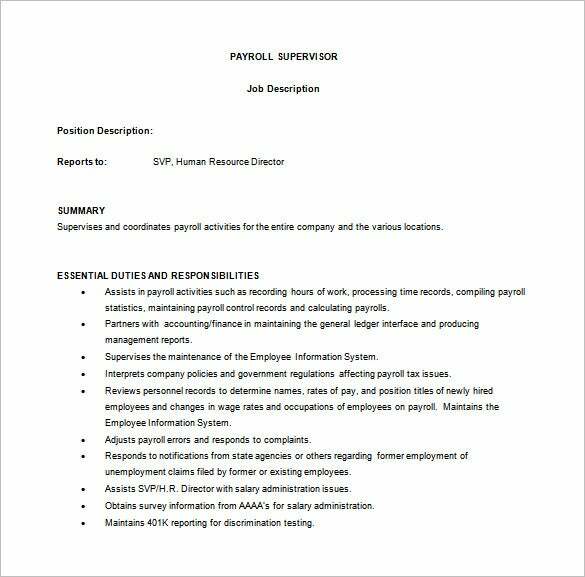 aaaa.org | Payroll Supervisor Job Description Word format template comes with the entire valuable details of the role as a Supervisor. The responsibilities and important duties such as assisting payroll activities like record working hours, calculating payrolls, errors and acknowledge any complaints etc. In addition, in assisting the Director of the Human Resources. 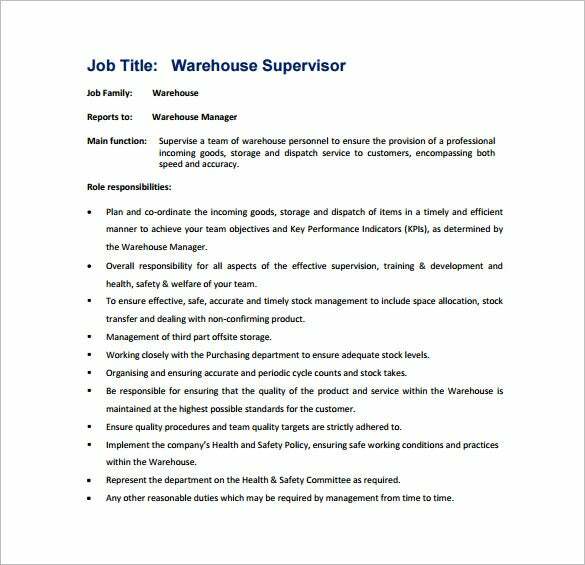 decora.co.uk | Warehouse Supervisor Job Description PDF Template is free download. It consists of all the responsibilities as a Supervisor of the Warehouse such as supervising planning and organizes over incoming goods, consignment of goods, onsite and offsite storage. It also includes supervising welfare, training, safety, health and development of your staffs and team. 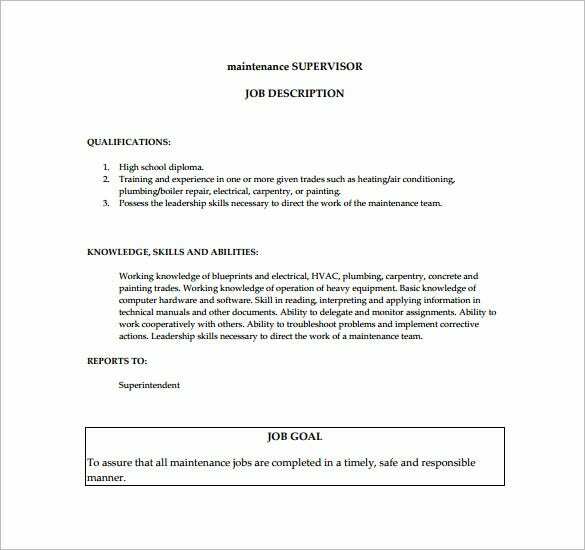 oppcityschools.com | Maintenance Supervisor Job Description Template in PDF format includes all the essential requirements on a person’s part as maintenance Supervisor. It comes with the qualifications required for the post like your education background, and past leadership experiences, you had. This template also includes the kind of skills, abilities and knowledge you want to hire for such as knowledge on carpenting, plumbing, electrical, blueprints including job goals. 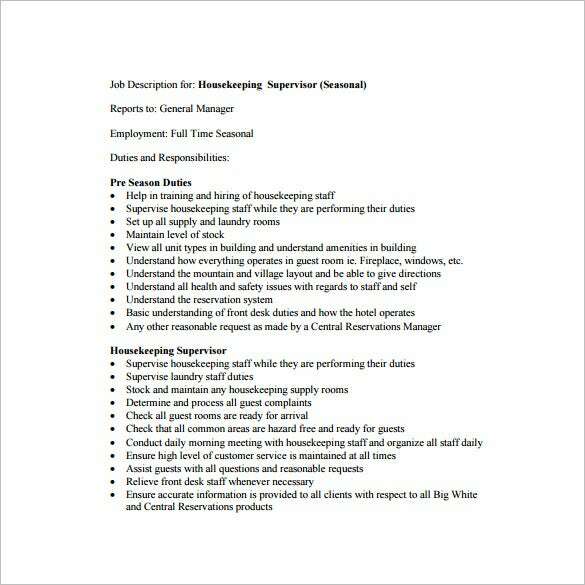 What are the Top Uses of Supervisor Job Description Template? 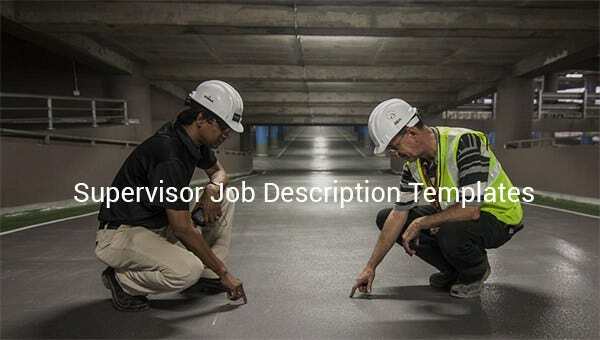 Having a sample template that is freely downloadable for maintenance Supervisor post and includes all the requirements, you look to find and hire the right person for the role is a shortcut that saves your precious time and money since they are ready for posting it online with the search relevant contents. This sample template will guide you to create the perfect job for your organization in building a great supervising team that look after the activities, welfare, and development of your organization. 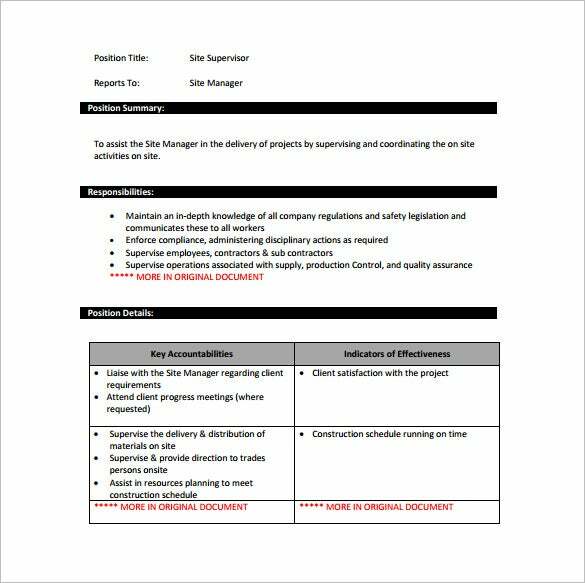 This sample template is all that you will need to help you hire top quality professional who fits perfectly for the Supervisor position. 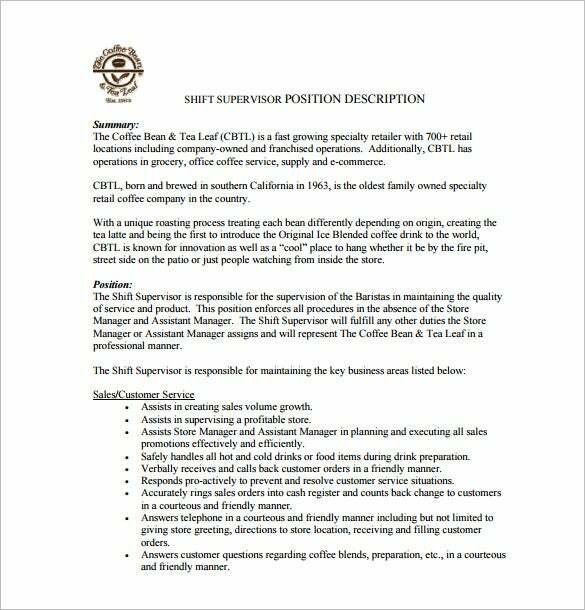 Who all Can Use Supervisor Job Description Template? 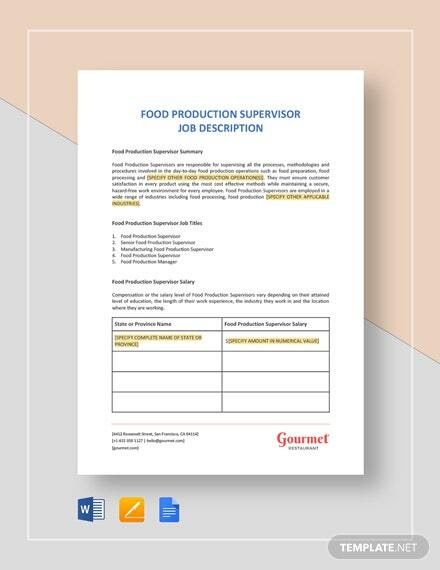 Supervisor Job Description Template used by those who are in the workforce industry, small and big business organizations to create the profound list of the responsibilities and roles the Supervisor has to play in your organization. Most of the activities and tasked assigned by a supervisor. Therefore, since you have to hire the right person, you do not want to miss the points as per skills, abilities and knowledge the person should have.The template comes with search relevant contents and helps you get to a larger number of candidates are perfectly fit for the role and the supervisor position. 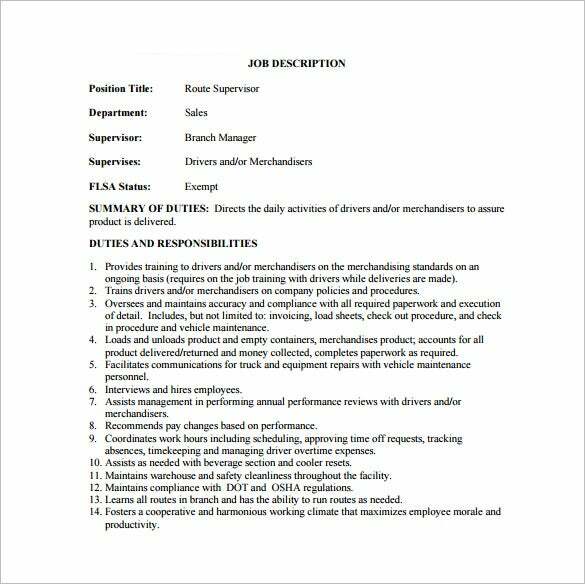 What are the Benefits of Using Supervisor Job Description Template? 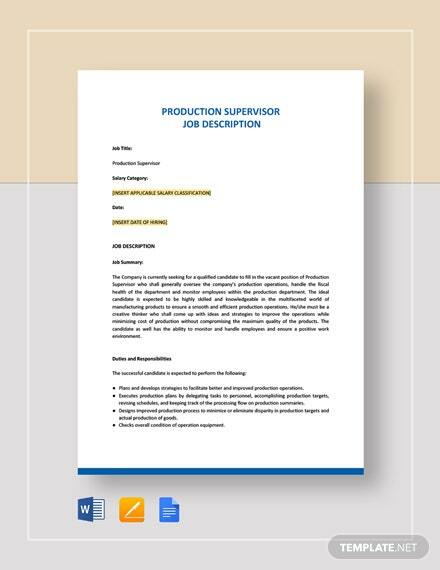 Since Supervisor Job Description Template comes with all the key points such as responsibilities, skills, abilities, qualifications and experiences required for your organization for taking the role of a Supervisor, you do not have to break your head and draft from scratch. All that you can do with the template is edit and add few more responsibilities and duties in case if you need to, and post to online job sites or on website of your organization so that when a candidate reads the details, it shows very clearly what you are looking for as an organization. All these leads to getting the right professional to organize and expand your business.